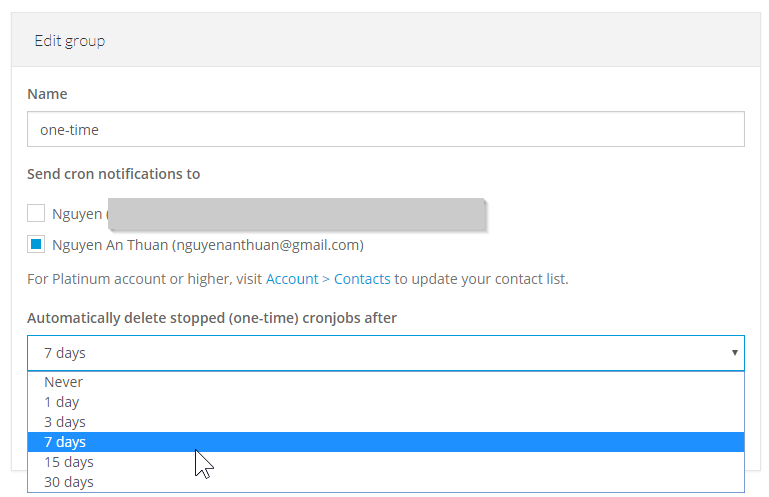 Now you can save one API requests with our new feature: automatically delete one-time cronjobs after they executed. 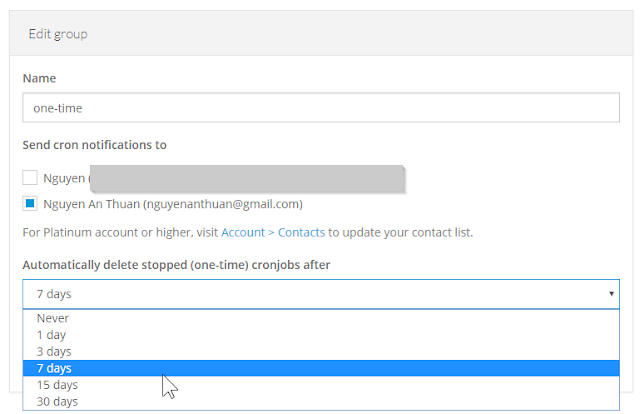 First, create or edit a group and update the select box Automatically delete stopped (one-time) cronjobs after to the desired value. You may want to keep the executed cronjobs long enough so you can check its execution results later. After that, just create all one-time cronjobs under that group, and that's it. Once your one-time cronjobs executed, they'll be deleted automatically after the set time.